Hold down clamps are used to anchor Snap Trap cable tray to a structural element. They are typically installed when the physical structure prevents or makes it difficult to use the hole pattern of the cable tray. Installation Guide: When installing Snap Track Hold Down Clamps, two (2) clamps should be used and attached to each side rail. 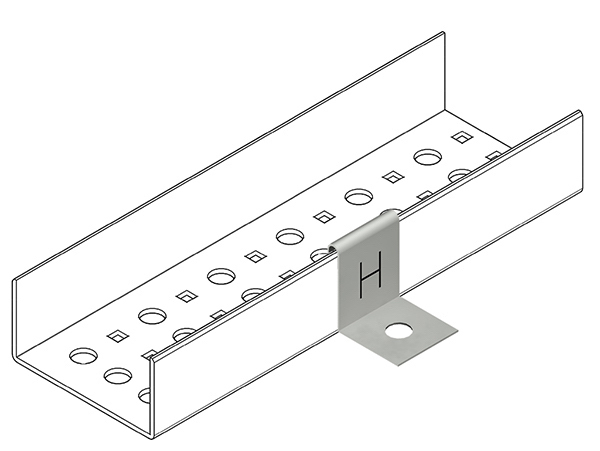 Installation Guide: Snap Track cable tray should only be anchored to Snap Track supports, directly to the structural members, or to structural members with Snap Track hold down clamps at the midpoint between expansion splice. At all other supports Snap Track expansion guides should be installed to allow for thermal expansion and permit longitudinal movement from the anchor or fixed point – NEMA VE-2 (Current Issue).